Separate dough into 8 biscuits. Cut each biscuit in half to form 2 strips. Press each strip into 3x2-inch rectangle. Place 1 Reese’s™ Peanut Butter Cups™ miniature in center of each rectangle. 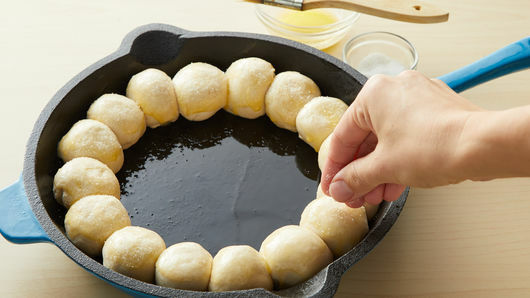 Fold dough over it, and gently pinch to completely seal around it; shape into ball. Place around edge of skillet with pinched end facing down. In small microwavable bowl, microwave butter uncovered on High 15 to 20 seconds or until melted. Brush biscuits with butter; sprinkle with granulated sugar. Bake 25 to 30 minutes or until biscuits are golden brown. In medium microwavable bowl, beat Dip ingredients with electric mixer on medium speed until well mixed. Microwave uncovered on High 30 seconds; stir. 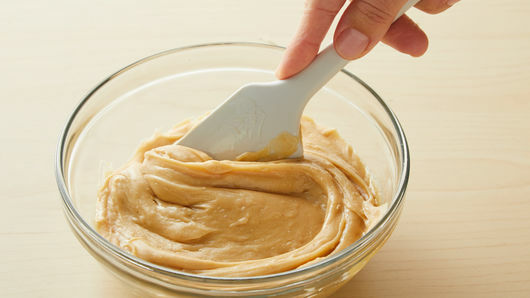 If necessary, continue to heat in 10-second increments just until stirred smooth. Do not overheat. 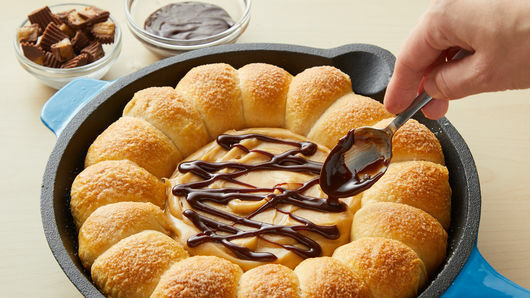 Spoon mixture into center of biscuit-lined skillet. In small microwavable bowl, microwave hot fudge uncovered on High 5 to 10 seconds, or until thin enough to drizzle. Drizzle over cream cheese mixture. 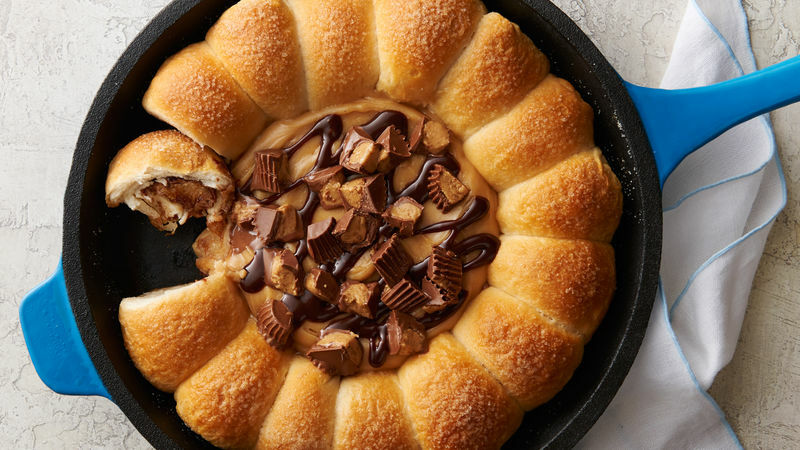 Sprinkle with chopped Reese’s™ Peanut Butter Cups™ miniatures, and serve. Did you forget to let the cream cheese soften? No problem! To soften cream cheese quickly, remove it from the wrapper, and place on microwavable plate. Microwave uncovered on High about 15 seconds or until just softened. Get the kids involved! 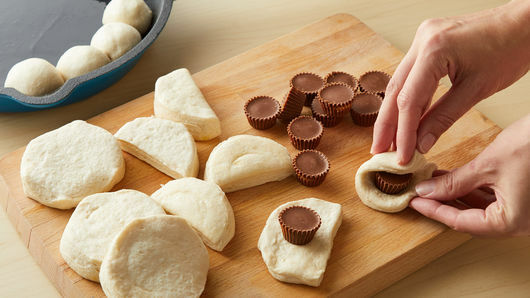 They will love helping you unwrap the Reese’s™ Peanut Butter Cups™ miniatures for this recipe. Just make sure to have a few backups in case they sneak one or two! Hot fudge varies in consistency. Thinner toppings can be drizzled with a spoon or fork; thicker toppings can be spooned into plastic food-storage bag, and squeezed out through tiny hole cut in corner.